The word "prime" is a quality grade assigned by the U.S. Department of Agriculture to describe the highest quality beef and other meats, including veal and lamb, in terms of tenderness, juiciness, and flavor. This meat quality grade, which in retail stores ranges from prime to standard or commercial, is assigned based on a combination of marbling and maturity. Marbling, the term used to describe flecks of fat within the meat, adds flavor, and younger beef produces the most tender meat. Don't mistake the fat on the outside of your meat for marbling. That fat is simply fat and often is trimmed away before you cook your steaks or roasts. The "prime" grade will be given to meat that comes from the youngest beef with the most abundant marbling. When you're choosing your beef, the tenderest cuts of beef are ones such as the rib-eye steak, tenderloin, and anything from the short loin, including strip steaks, T-bones, and porterhouses. They're tenderest because the muscles get relatively little exercise, which means they have the least amount of fibrous collagen (AKA connective tissue) surrounding the muscle fibers. Even among these cuts, which are already among the most expensive, anything receiving a prime designation is deemed to be the best of the best. Less than 2% of all beef produced in the United States will earn the top prime designation. Depending on where you shop, your grocery may not carry the top prime designation. Rather, it tends to be purchased by high-end restaurants and hotels. 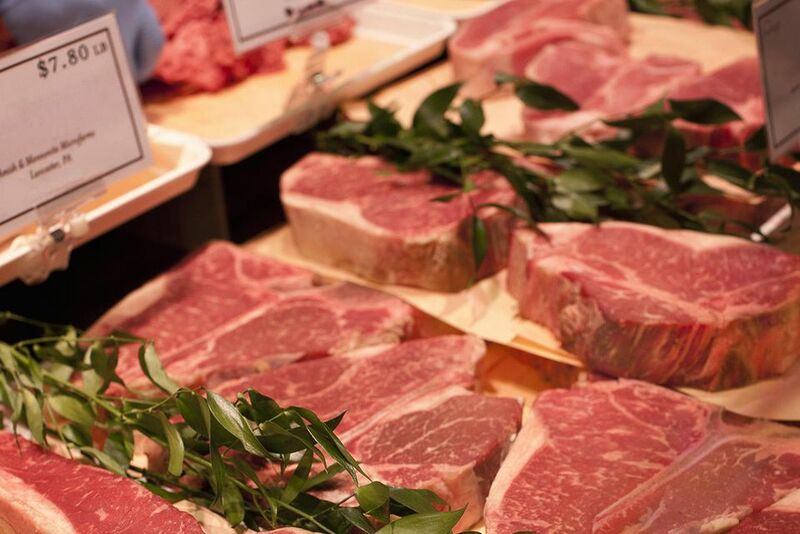 Increasingly higher-end stores are selling prime meats, at a price to go with the designation. Due to their superior quality, prime cuts of beef are best prepared using dry-heat cooking methods such as roasting and grilling. Cuts of meat that have been given a prime grade will be marked with a purple stamp showing the words "USDA Prime" inside a shield. While this mark will only be visible on the primal cuts, the retail packaging will feature the grade mark. It is illegal to misrepresent the grade of meat, or the shield symbol, or to use misleading language to describe the quality of the meat. For instance, a restaurant that serves something called prime rib must use beef that has been graded prime. Otherwise, they would have to call it a rib roast or something else that doesn't have the word "prime" in it. Note that meat grading is entirely optional, and meat producers who request a quality grade for their meat must pay for the service. This differs from the system of meat inspection, which is required by law but is not concerned with quality or tenderness. Also performed by the United States Department of Agriculture—and paid for with tax dollars—meat inspection ensures that the meat you buy is wholesome, safe, and has been properly packaged and labeled.